We have a vacation place in the Pocono Mountains that we go to all of the time. Recently we acquired our own place and needed a nightlight for the kids. I knew I didn't want the same ol boring ones you can find anywhere, I wanted something cute for the kids. 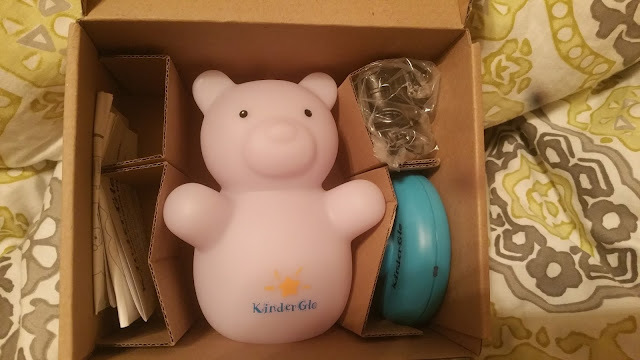 The KinderGlo portable nightlights caught my eye, especially the Bear night light, because well bears in the mountains. This little guy helps keep our place lit with just enough light that the kids can make their way to the bathroom in the middle of the night. Not only do the KinderGlo night lights need to stay put, they are soft enough that your kids can cuddle with them. This is especially helpful if they are scared of the dark. 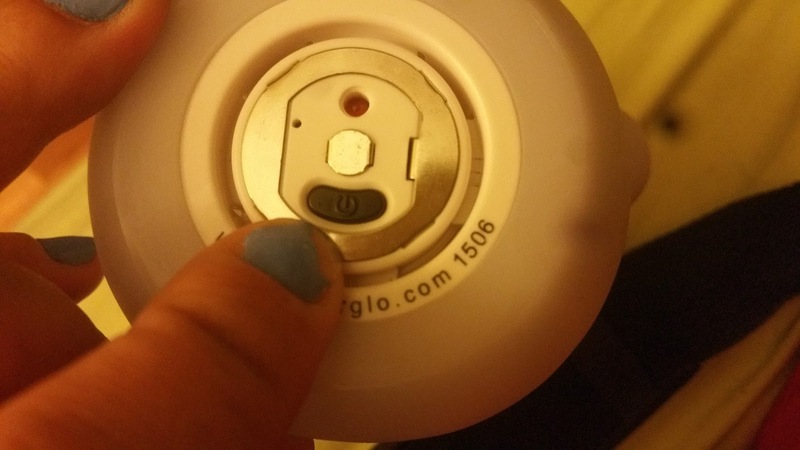 On the bottom there is a little black button you can press to have your KinderGlo stay on your desired color. 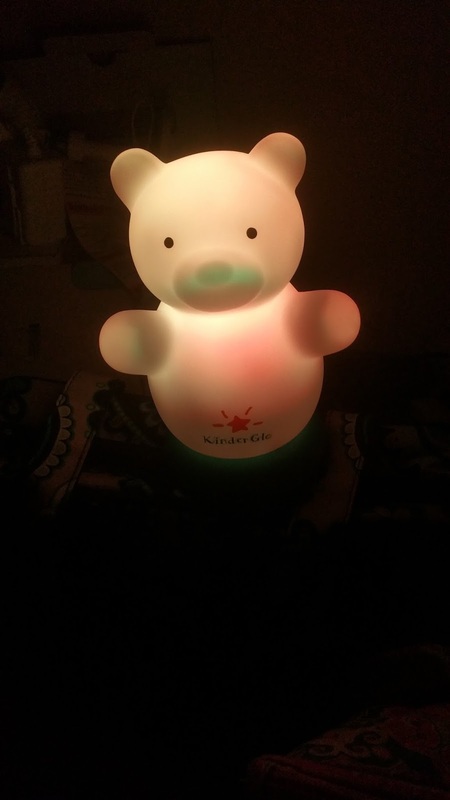 We are loving our KinderGlo portable night light and so are the girls. Especially if someone gets spooked at night. They can just snuggle with it until they fall asleep. They have also offered one (1) lucky reader the chance to win a KinderGlo of their own! That's a tough choice. I like the hippo, the elephant and the bear. I think I would choose the bear. The owl. My kid is ALL about owls; the only thing better, from her point of view, would be an Elmo. I would choose the Owl night light from Kinderglo. I would get the moon kinderglo light. I would choose the elephant nite light. I would choose the Angel Night Light! I would choose the Elephant. I really like the Angel Night Light.super cute !